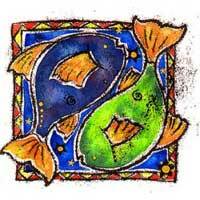 Pisces affects that part of the solar zodiac related to health and work. 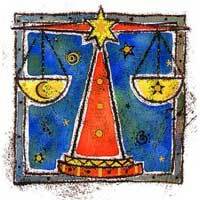 Neptune opposite Venus enhances the combination of power and illusion. Basic issues are most important. You might lose patience and want to skip what is essential. Usually Pisces is not that practical, but alongside Libra, he will want to help you out. He will help you keep your job, develop your technique. Pisces will help you appreciate the basic things and comfort. You admire the poetic side of this man, but his dreams and illusions concern you. You should do things gradually; with Pisces even you are able to do anything for a particular goal. The combination of planets is a beautiful one, and in this case tends to be practical. Obviously this relationship can be successful. Both are delicate to a certain point when you have hidden powers. You are helped to care for your health and urged to do exercises or to follow a diet (depending on the case). Pisces do not do this for everyone, so you might be someone very special to them. You get delightful experiences. But there's a basic conflict, centered on the question whether to accept the practices and defy conventions. The solution is of course to learn the rules before you break them. In other words, be mature enough to know what to do. Pisces and Libra generally help each other and after all it is a good relationship.